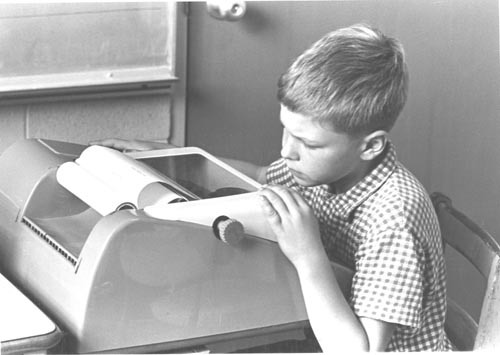 This is a black and white image of a boy in front of a teletype machine. He is wearing a checkered shirt and looking down at the machine. The teletype to printing out text. Written on verso side of image in pencil Stanford CAI.